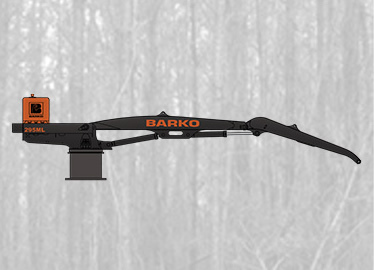 Available with a cab or electric remote station, Barko’s stationary mount loaders are an excellent solution for non-mobile applications in saw mills and other jobsites. These high-capacity machines feature innovative engineering to provide consistent results every day. 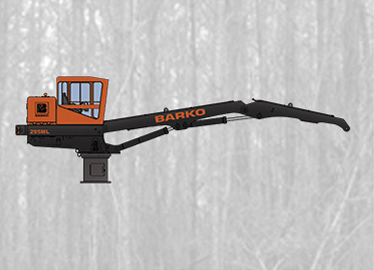 The Barko 495-SE stationary electric loader has an insulated cab with various ergonomic features for the operator. When mounted on a standard pedestal, it offers up to 30 feet (more than 9 meters) of horizontal reach. 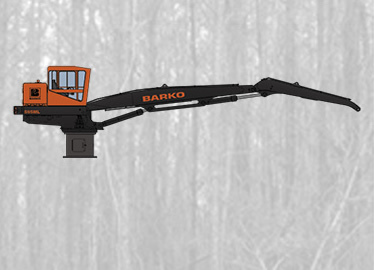 Equipped with a comfortable operator cab with heating and air conditioning, the Barko 595-SE is built for productivity. The loader has a 120-gallon (454 L) hydraulic tank and 90 GPM (341 LPM) variable displacement piston pump. 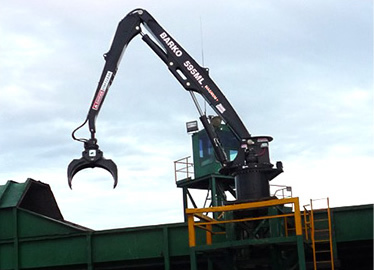 Barko’s 495-SE-ERS stationary electric loader features an electric remote station. The machine has a 120-gallon (454 L) hydraulic tank and 70 GPM (265 LPM) variable displacement piston pump. 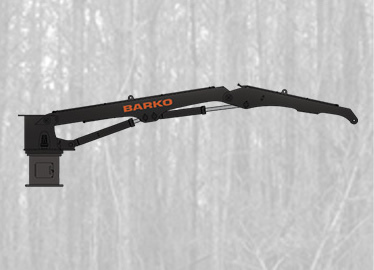 The Barko 595-SE-ERS stationary electric loader utilizes an electric remote station. When mounted on a standard pedestal, it offers up to 32 feet (almost 10 meters) of horizontal reach. 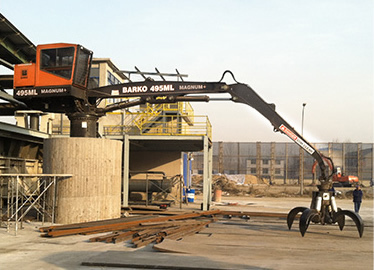 Barko’s 295-SER-ERS stationary electric loader features a remote power unit. The machine’s load sensing hydraulic valves and pump help match pressure and flow, and a 150-gallon (568 L) hydraulic tank allows for long operating intervals.